These photos are from a shoot that I did with Aubrie LeGault. 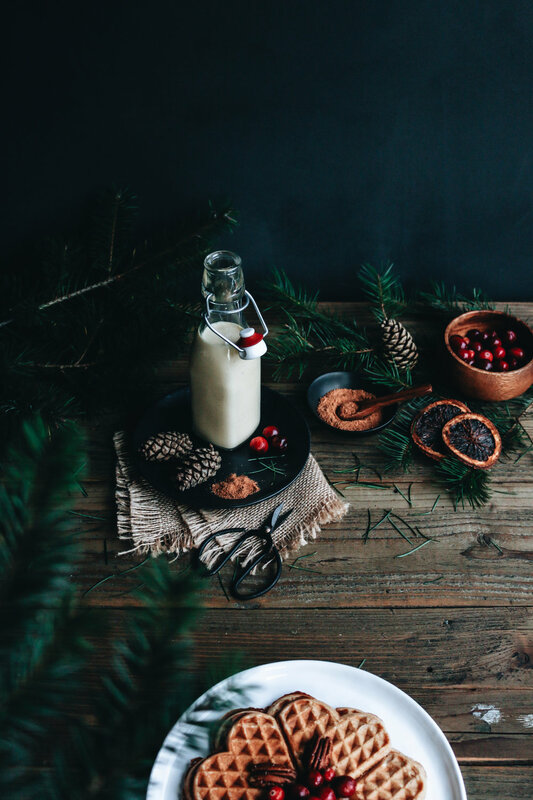 A food photographer from Portland. She took these beautiful photos and I styled the shots. 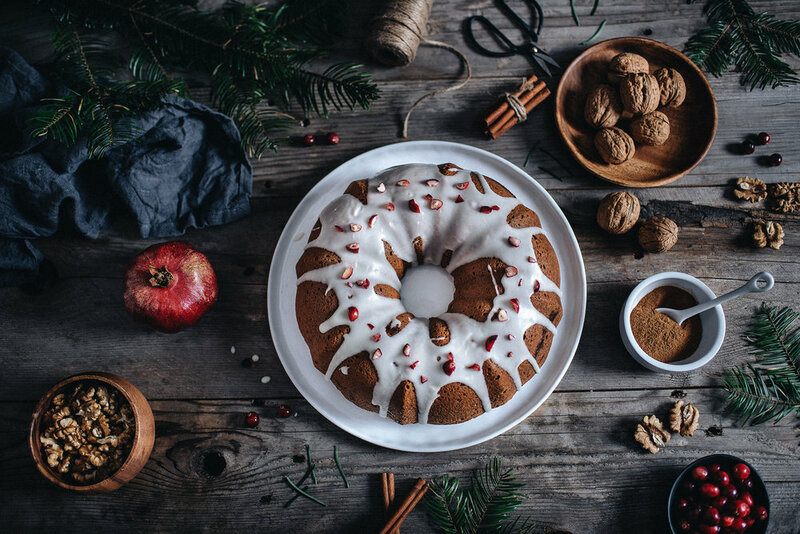 This delicious of bundt cake is best served warm, with your choice of coffee or tea. Enjoy! 1 To make the batter, place the butter and sugar in mixer bowl and beat for about 2 minutes it should fluffy. Stop and scrape bowl. Then add the eggs and beat for about a minute, until creamy. Add the sour cream and mix until combined. 2 Combine the flour, baking soda, baking powder and salt in a bowl. Add the flour mixture gradually into mixer with wet ingredients. Mix until combined, batter should be very thick. 3 To prepare the cinnamon walnut filling. Place softened butter, brown sugar, chopped Walnuts and cinnamon into a bowl. Mix until crumbly or about a minute. 4 Spray bundt cake pan with baking spray. Then spread half the batter into the bottom of the pan. Scoop the cinnamon walnut filling onto the center of the batter. Cover the cinnamon walnut filling with the remaining batter. 5 Preheat oven to 350 f, bake the bundt cake for 45 to 50 mins. Or until a toothpick inserted into the center of the bundt cake comes out clean. 6 While the bundt cake is baking make the glaze. Start by melting 3 tbsp of butter in a medium size bowl. Add the cup of powdered sugar and vanilla extract. Mix with a spoon until the glaze is smooth and flows off the spoon. If the glaze is too runny add just a little more powdered sugar. If it's too stiff heat it up in a microwave for 15 secs. 7 When the bundt cake is done baking, let it cool for 5 mins in the pan. Then flip it over onto a cake stand or plate. And pour glaze over the warm bundt cake. Let it cool and serve. 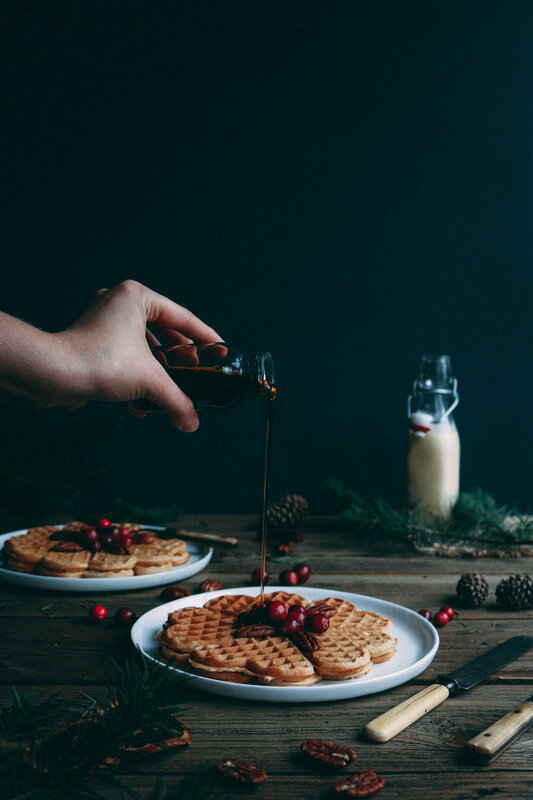 The classic taste of eggnog combined with the familiar company of waffles. Makes for the perfect winter time treat. 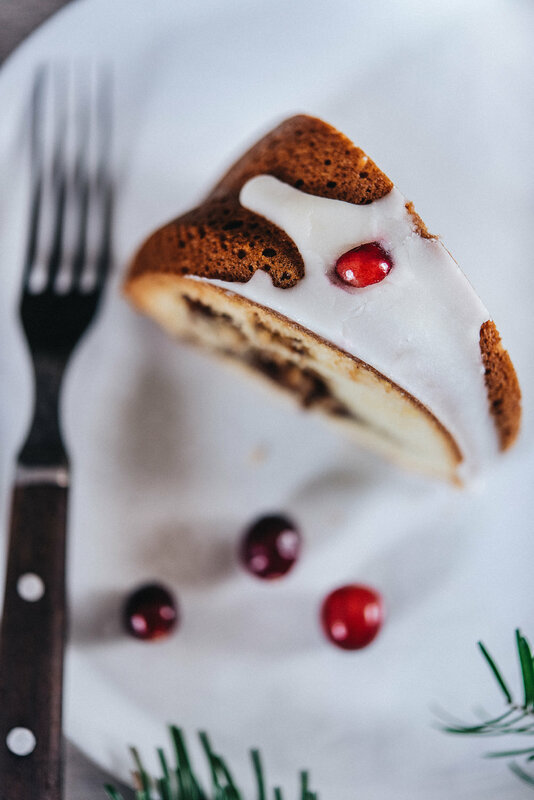 Add even more eggnog taste with the optional eggnog glaze. Enjoy! 2 Pour mix onto preheated waffle iron, cook until golden brown. 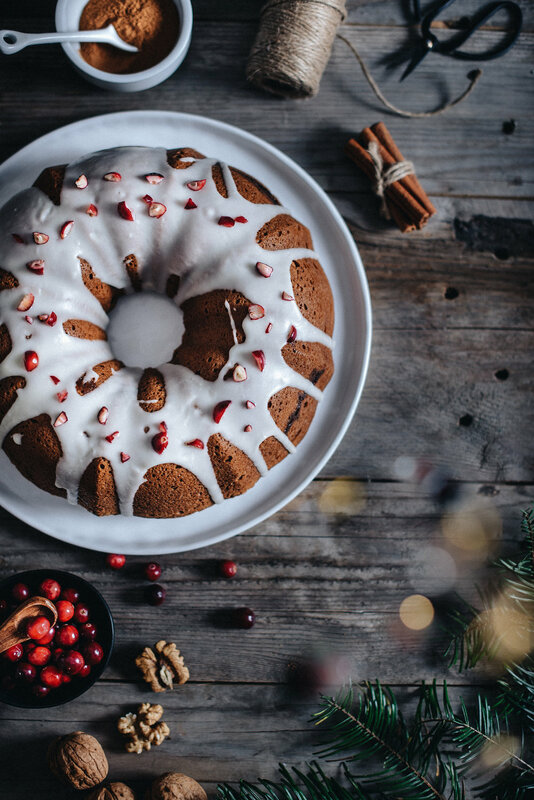 Serve hot, with your choice of pecans, walnuts, cranberries, syrup Or eggnog glaze. Combine the powdered sugar, eggnog and nutmeg until it's smooth and flows off the spoon. 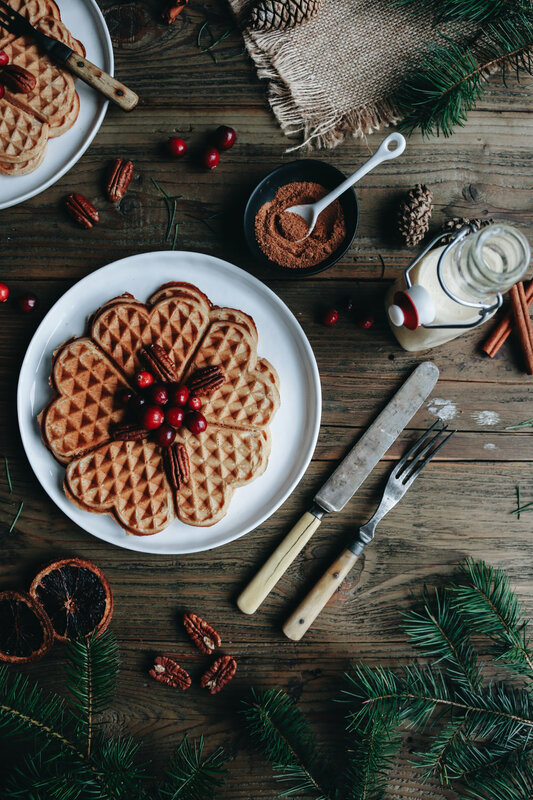 Serve with hot Eggnog Spice Waffles. Fall baking is my favorite. Mostly because of the styling options I get with this season. Things like pumpkins, pepitas, leaves, spices, dark moody tones and amazing shadows. Is what makes it interesting for me to bake and style. During this time of year. This season is slowly coming to a close. And for those who are still In the mood. To bake everything pumpkin and apple. Here's a blog post for you....get inspired. But If your one of those people who dislikes pumpkin spice. Then I guess this season just isn't for you.